Warner Bros. Pictures Philippines will roll-out a back-to-back release platform for the eagerly anticipated sequels of Rurouni Kenshin. This was announced today by Francis Soliven, General Manager of Warner Bros. (F.E. ), Inc. The release pattern will allow fans to experience the cathartic conclusion to the celebrated saga with little time in between and honors the filmmakers' wishes as to how the sequels should be viewed. The twin features will have the same opening window in Japan. With the release of the original Rorouni Kenshin last year, Japanese cinema entered a new era. A commercial film combining unparalleled speed and overwhelming action in a moving human drama, it was an explosive blockbuster that was met with riotous enthusiasm by the fans. This was the first motion picture inspired by Kenshin the Wanderer: The Romance of the Meiji Swordsman (Shueisha Jump Comics), the monumental manga comic by Nobuhiro Watsuki that has sold more than 5.8 million copies and been translated into more than 20 languages. 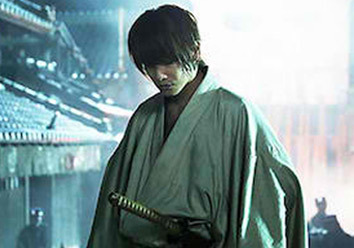 Directed by Keishi Ōtomo, the film told of fictional events that took place during the early Meiji period in Japan, focusing on a wanderer named Himura Kenshin (Takeru Satoh), formerly known as the assassin Hitokiri Battōsai. After participating in the Bakumatsu war, Kenshin wanders the countryside of Japan offering protection and aid to those in need as atonement for the murders he once committed as an assassin. The filmmakers faced a serious challenge in meeting the high expectations of the manga fans, a challenge they succeeded beyond anyone’s expectations as the film arrived to a rapturous reception throughout Japan, quickly taking in more than 3 billion yen at the box office. Word-of-mouth spread quickly overseas, and Rurouni Kenshin was shown in 31 festivals and received distribution in 64 territories, including the Philippines. The production team was aware from the start that the Rurouni Kenshin story would not be complete without a film version of the “Kyoto Arc,” the highest-rated and best-loved segment that serves as a climax to the manga series. Coincidentally, the resolution and determination with which the main character Kenshin survives through a turbulent age serve as a guidepost to the filmmakers. And so, in answer to calls from around the world demanding “more Kenshin,” the filmmakers proudly present Kyoto Inferno and The Legend Ends.